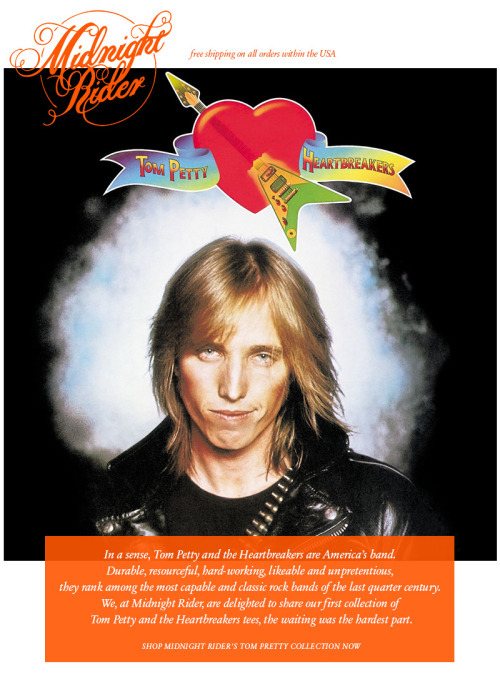 In a sense, Tom Petty and the Heartbreakers are America’s band. Durable, resourceful, hard-working, likeable and unpretentious, they rank among the most capable and classic rock bands of the last quarter century. We, at Midnight Rider, are delighted to share our first collection of Tom Petty and the Heartbreaker tees, the waiting was the hardest part.